E-commerce platform Shopee has recently launched Shopee Mall, a dedicated in-app space for B2C sellers. This new portal is separate from the regular Shopee marketplace and provides access to thousands of products from over 200 top sellers and brands such as 3M, L’Oreal, Philips and Reckitt Benckiser. This new portal actually reminds me of Lazada’s “official stores,” which features best and exclusive deals from various brands. Like Lazada, all products listed on the Shopee Mall are guaranteed to be authentic; and consumers can also enjoy free shipping with no minimum spend and a 15-day return policy when they make a purchase. Shoppers who wish to return their purchases can do so using the prepaid postage labels provided. Shopee used to rival Carousell, a fellow consumer-to-consumer (C2C) mobile marketplace but I guess the Shopee Mall launch serves as a move that strengthens its footing as a B2C marketplace. Bringing the array of brands onboard its platforms also makes it very convenient for customers – it’s as good as shopping from the actual shop, without actually leaving your house! All transactions can now be done conveniently on mobile, and customers can also be assured of the quality and authenticity of the goods received. 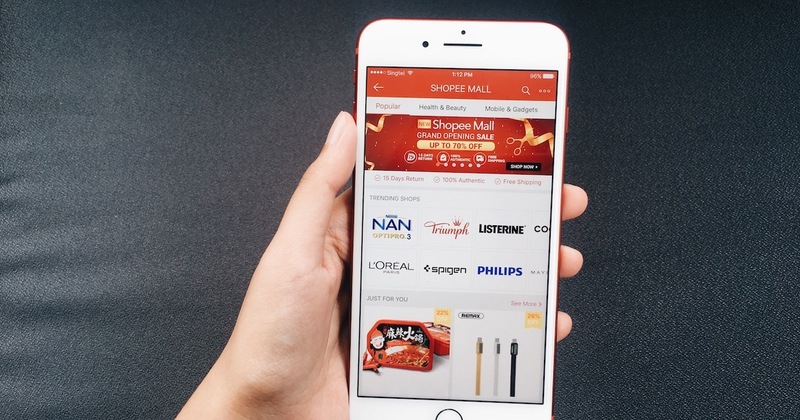 Shoppers can easily identify Shopee Mall product listings with the newly added red ‘Mall’ label. Within the portal, shoppers can also navigate easily between key brands, category campaigns and personalised recommendations. According to a media statement, the Shopee Mall was conceptualised due to the increasing need for brands to provide Singaporeans with a streamlined online shopping experience. In a recent survey by HSBC, 94% of local online shoppers identified reliability and trust as key considerations when making an online purchase. Shopee Mall aims to bolster both attributes and assure consumers by ensuring that all sellers on Shopee Mall are verified with the Accounting and Corporate Regulatory Authority, a locally registered entity. This verifies a merchant’s trustworthiness and ensures that all goods sold are authentic. 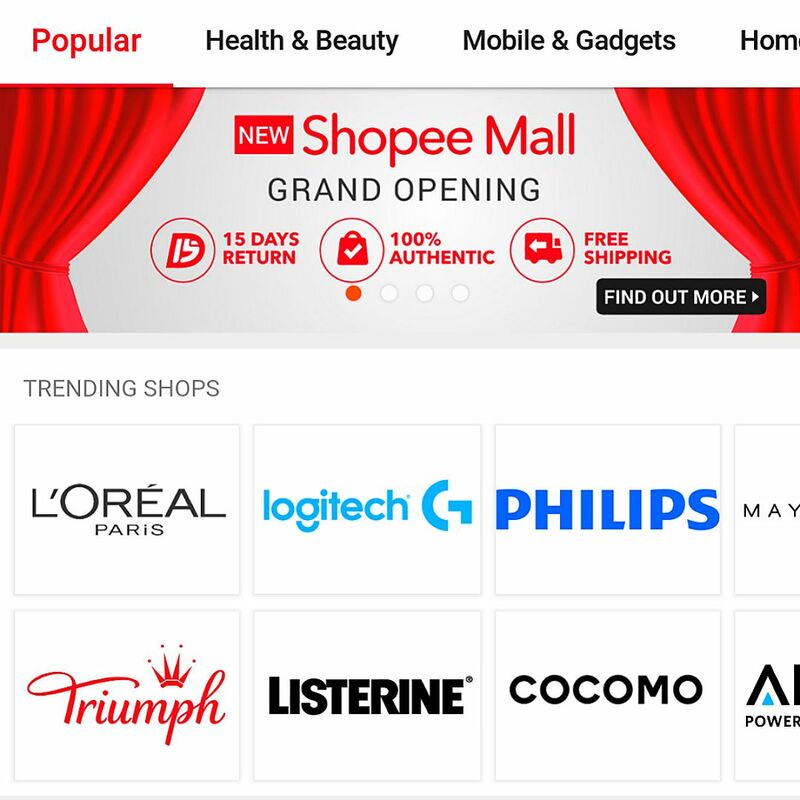 “The launch of Shopee Mall is a major move for us in establishing Shopee as an industry leader and a one-stop platform that caters to all our customers’ needs. As we scale up our B2C efforts, customers can now shop conveniently from hundreds of leading brands,” said Zhou Junjie, Country Head of Shopee Singapore. 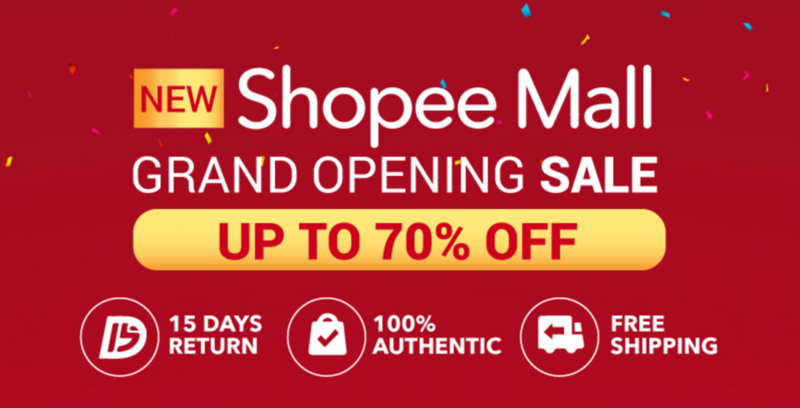 To mark its launch, Shopee Mall is offering exclusive campaigns on the portal, including opening sales of up to 80% off, voucher codes, and giveaways. Check out these great deals here!